About a year ago, I tossed my scented lotions and got a moisturizer from the food aisle: sweet almond oil. The move cleared out a lot of space in my vanity cabinet, because I now use almond oil as an all-in-one face, body, and hair moisturizer. I’ve become addicted to the convenience, as well as the all-natural skin benefits of sweet almond oil. Sweet almond oil barely has a scent, which means I can pair it with any perfume I want (or none!). Just be sure to avoid “roasted” almond oil. It’s less greasy than other natural oils I’ve tried, like avocado oil, and penetrates my skin nicely. It’s packed with natural vitamin E, zinc, potassium, proteins, and fats. Unlike the vitamin E oil sold at drug stories, it is not derived from petroleum. Because almond oil is technically a food, it is regulated by the FDA, unlike traditional cosmetics. You can apply more or less, depending on how dry your skin is, and get a deep condition in the wintertime. During the summer, it can helps heal your skin after sun exposure. I find better results with almond oil than traditional after-sun lotions. It reduces fine lines on my face and improves my complexion. At least one study suggests it can prevent stretch marks. In ancient times, Chinese, Ayurved, and Greco-Persian schools of medicine used almond oil against skin conditions, including psoriasis and eczema. You can either pick up almond oil at your local grocery store, or try Viva Naturals Sweet Almond Oil, available on Amazon. I can confirm the Viva Naturals brand has a light consistency and no scent. 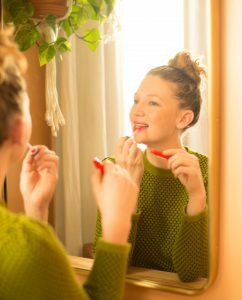 On Your Face: I use about two pumps of oil and rub it on my face and lips after I get out of the shower and before I apply my SPF. Before bed, I will apply a thicker layer. On Your Body: After a shower, generously apply almond oil all over. It rubs in nicely, even if you’re still slightly wet. On Your Hair: To get a deep condition, apply a bit to your ends before you shower. (Don’t use too much, or you hair will get greasy!) Then, shampoo it out and skip the conditioner. On Your Hands: Use almond oil to moisturize your cuticles during a DIY manicure. 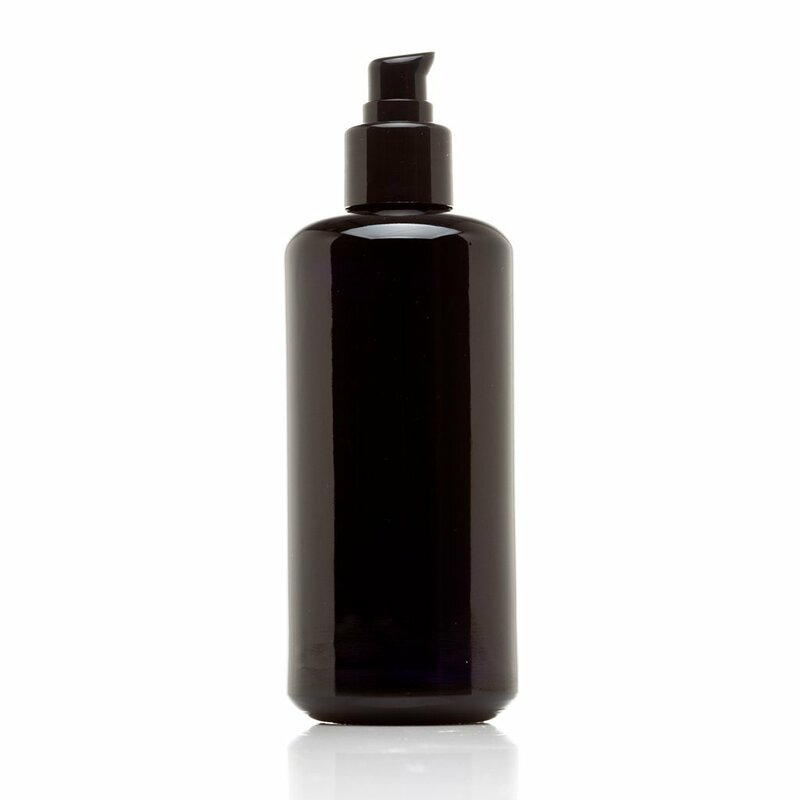 I also use a glass bottle to store my almond oil: the Infinity Jars 200 Ml Black Ultraviolet Glass Push Pump Bottle. The dispenser helps me control the amount of almond oil that comes out, so I’m not making an oily mess. It also protects natural ingredients from the light.